A victory for Katrina flood survivors? (FinalCall.com) - In what is being hailed as a ground breaking decision, a federal judge recently ruled that the Army Corps of Engineers were directly responsible for flood damage in St. Bernard Parish and the Lower 9th Ward following Hurricane Katrina, due to poor management of maintenance at the Mississippi River-Gulf Outlet(MR-GO). The judge's ruling in a civil lawsuit could result in the government handing out $700,000 in damages to the plaintiffs, which includes three residents and a business in those areas. The ruling includes some 100,000 homes and business in the defined areas. “This ruling highlights the fact that Hurricane Katrina's damage was exacerbated by the failure of the Corps of Engineers to properly operate and maintain water resources projects in Louisiana,” said Gov. Bobby Jindal. “It's time that we stopped litigating and we started negotiating,” said Los Angeles-based attorney Pierce O'Donnell, who co-represented the plaintiffs. “The day that the first explosion was delivered to the cypress forest to begin digging and developing the MR-GO was the first day of public outcry that this was going to be the ruination of St. Bernard Parish,” said Craig Taffaro, St. Bernard Parish president. “In terms of the judicial process, this decision is revolutionary. In terms of social justice, it's a start but it's not enough. It's not over yet,” New Orleans activist Mtangulizi Sanyika, told The Final Call. “It's a bittersweet victory in the sense that: yes, we are at the table, yes, we are grateful for the judge's ruling, for the legal team to deliver us to this point. But what a shame that we had to go through such devastation and destruction to get here,” said Mr. Taffaro, who hopes his parish will also receive compensation for damages reportedly exceeding $1 billion. Mr. O'Donnell led the legal team along with attorney Joseph Bruno of New Orleans. Following the ruling, both said any settlements should also include compensation for residents and businesses of other flooded areas not included in the ruling. The Justice Department is expected to appeal the ruling to the Supreme Court if necessary. If that appeal hampers the brokering an out of court settlement, the attorneys are prepared to ask Judge Duval to certify the case as a class action suit. This would include issuing a direct judgment against the corps to ensure they are liable for claims filed against them. 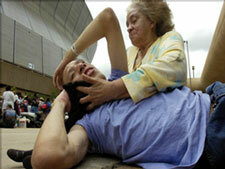 Many who fled to the Superdome fell sick from heat exhaustion and dehydration. “In the coming days, I will be working directly with President Obama to ensure that his administration understands the implications of this decision and the immediate need for the government to reach a final resolution for the people of New Orleans and St. Bernard Parish,” said Sen. Mary Landrieu. Community leaders see this as a much needed victory against the federal government that could set the stage for compensating thousands of victims for billions in claims filed the last several years. They are also worried about the damaged areas being exempted from the judgment, because Judge Duval said MR-GO did not affect the levee systemprotecting areas such as eastern New Orleans. “I think the judgment is a small step in the right direction, however, what about those who live outside of the Lower 9th Ward, which was impacted by the breeches of levees inside the city that were supposed to protect it? The lawsuit doesn't benefit them,” Willie Muhammad of the Nation of Islam told The Final Call. “Although I am happy for my fellow Katrina survivors who will benefit from this ruling, I need compensation too. 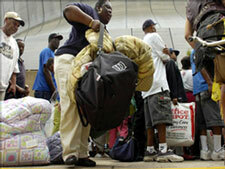 I was left out along with thousands,” said Kimberly Robinson, a native of east New Orleans now residing in Houston. Mr. Sanyika, who resided on the east side of New Orleans, lost everything in 2005. He would like to see this judgment result in a class action suit that includes everyone impacted by floodwaters. 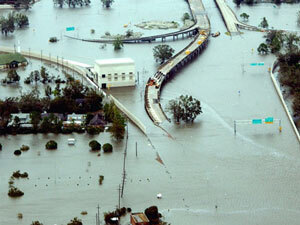 In August of 2005, over 80 percent of New Orleans was submerged underwater, leaving thousands dead and hundreds of thousands dispersed in over 40 states throughout the nation. Former President George W. Bush and his administration drew harsh criticism from across the world as scenes of floating bodies, stranded Black families atop roofs and dying elderly streamed across the television and internet. “I would have liked to have seen the judge rule against the 1928 federal law that grants the corps immunity against lawsuits for inferior work. Basically they have a law that protects them from their own inferior work,” said Mr. Muhammad. “We have been burned so many times with promises, that even in the wake of this judgment, people have a wait and see attitude. But compensation would be great,” said Mr. Suber, who is with a coalition helping residents to get jobs.